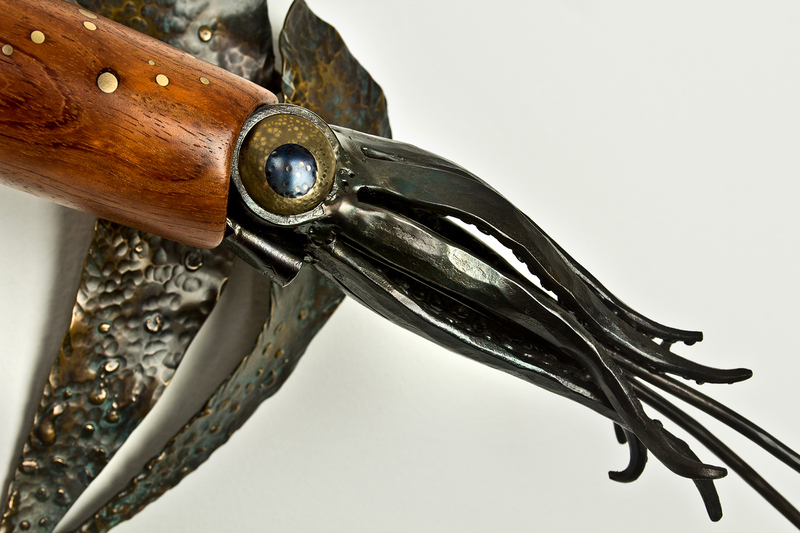 There are many different species of squid, most of which are found in the deep ocean. Large eyes and bioluminescent spots are traits that they have evolved in order to live in the darkest depths. 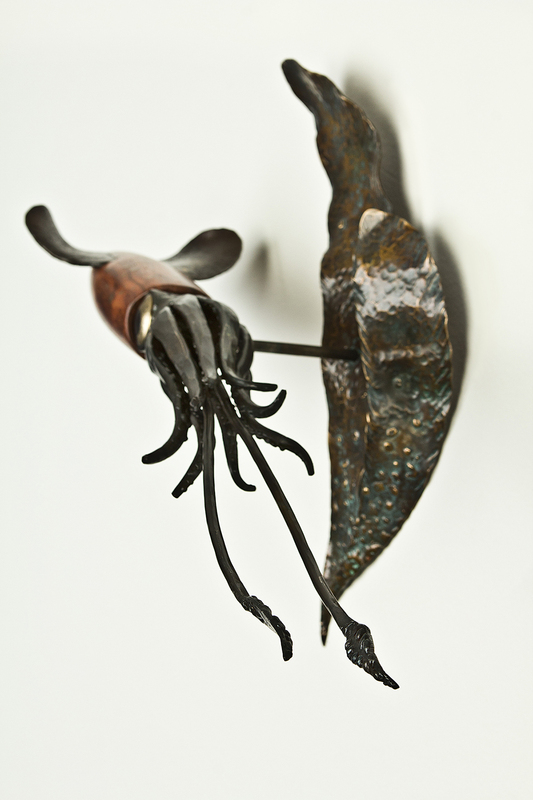 As invertebrates, the movement of squid is very fluid, a quality that this piece attempts to capture in forged and welded steel tentacles and fins. 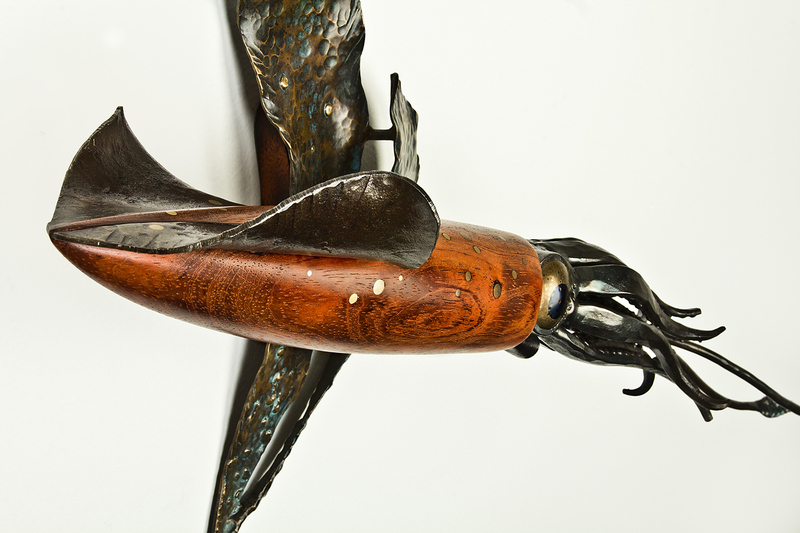 The body is bubinga wood and the bioluminescent spots are bronze.